Provençal Talmudist; flourished about the middle of the thirteenth century; brother of the liturgical poet Abraham benḤayyim. 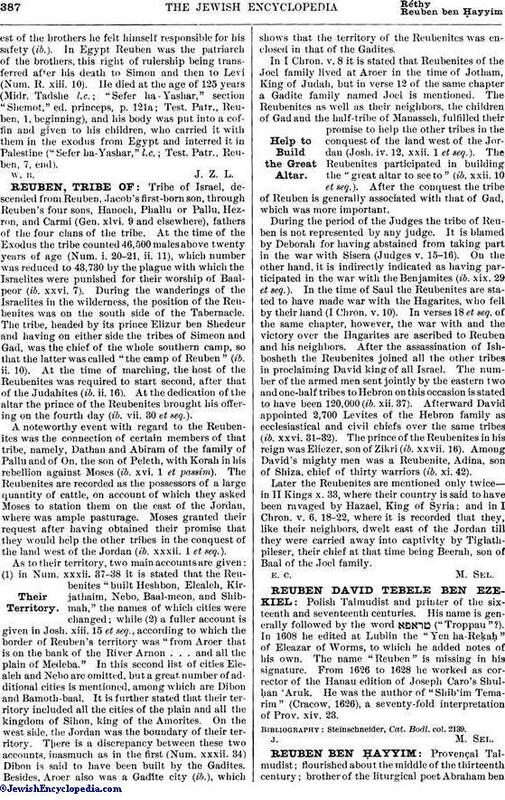 Reuben, who lived at Narbonne, was a pupil of Isaac ha-Kohen of that city, and teacher of Menahem Me'iri. The latter praises him as a great Talmudist; and Isaac of Lattes calls him "a trained philosophical thinker." His nephew Levi of Villefranche quotes in his name some philosophical explanations of the Haggadah that are mentioned also in Azariah dei Rossi's "Me'or 'Enayim" (Geiger, in "He-Ḥaluz," ii. 14). 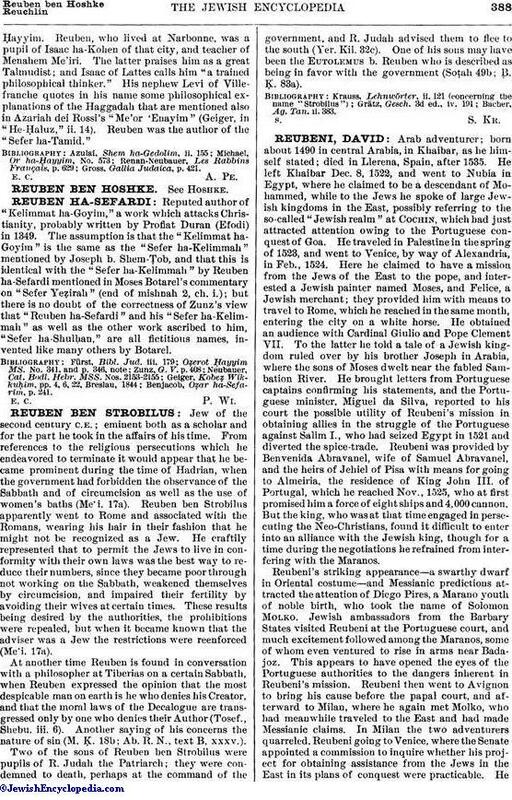 Reuben was the author of the "Sefer ha-Tamid."